The nation saw 5.4% annual price growth in October, though CoreLogic predicts growth could slow to 4.8% by next year. In October, home prices nationwide rose 5.4 percent year-over-year and 0.5 percent from September, according to the analysis. The average price of a single-family has, according to some estimates, has now reached $285,700. Ever since 2012, inventory shortages and high demand have created a nationwide trend that makes it a great time to be a seller and a bad time to be a buyer — many homeowners have been holding off on selling in the hopes that their property will grow by more. 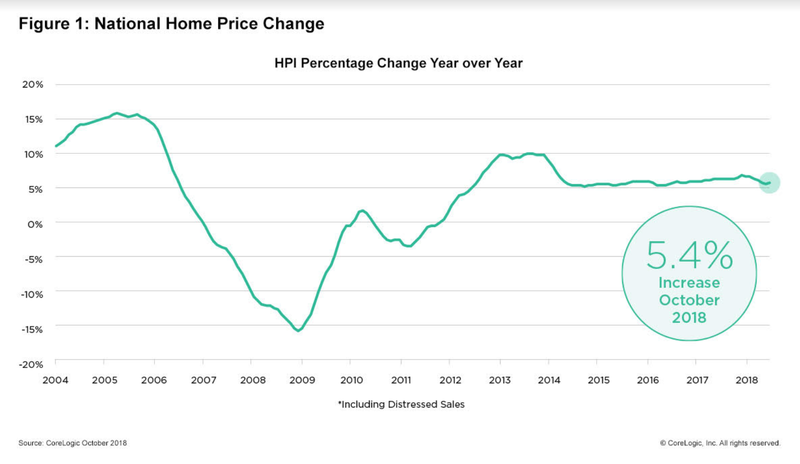 However, according to CoreLogic, a slowdown is on the horizon — home prices are only estimated to increase by 4.8 percent between now and September 2019. What’s more, October was the fourth consecutive month in which home price growth was below 6 percent year-over-year — in the summer, they grew by 6.2 percent. Still, the kind of slowdown that will shift us to a market that favors the buyer — in which there are at least 6 months of available inventory — could be years in the future. CoreLogic predicts that home prices will continue rising, albeit more slowly, well into the coming months. As a result, homeownership remains unaffordable for many, particularly first-time buyers who do not have equity from an existing property. 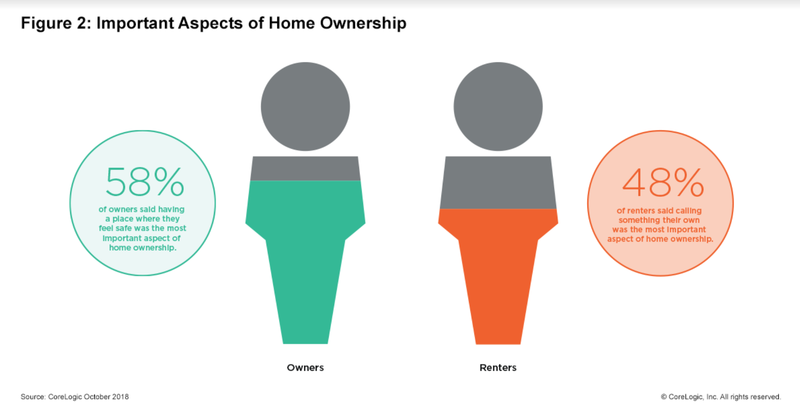 That said, many renters and first-time homebuyers are still hoping to break into homeownership in any way they can, particularly by competing for the small number of affordable homes on the market and carefully monitoring for market changes.